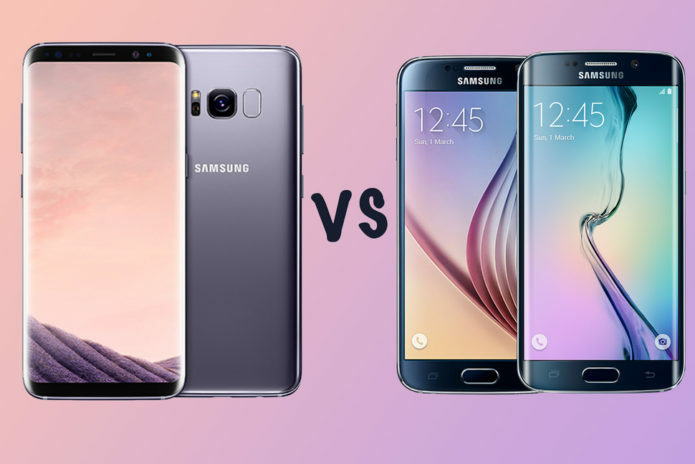 Samsung Galaxy S8 vs S8 Plus vs S6 vs S6 edge: What’s the difference? Samsung’s Galaxy S6 and Galaxy S6 edge were announced back in 2015, taking things to a whole new level for Samsung in terms of design, especially in the case of the edge model. They were the first to offer a more premium design with their glass and metal sandwich, taking a huge leap away from the plasticky devices that went before them. Two years on and Samsung has done it again. Where the Galaxy S7 and S7 edge only offered minor changes to the S6 models, the Galaxy S8 and S8 Plus put Samsung back in the spotlight, for all the right reasons. Here is what has changed between 2015 and 2017 and how the Galaxy S8 and S8 Plus compare to the Galaxy S6 and S6 edge, for those of you considering upgrading.